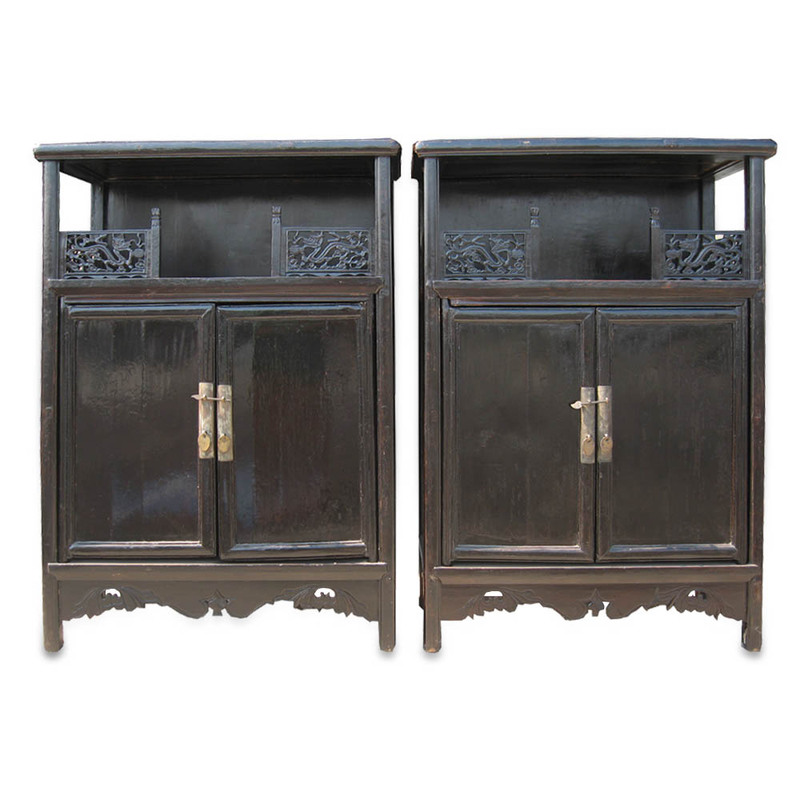 Pair of rare antique 18th century Wan-Li style medium size cabinets with original thick black lacquer and old white-brass fittings; carved with dragon motif. 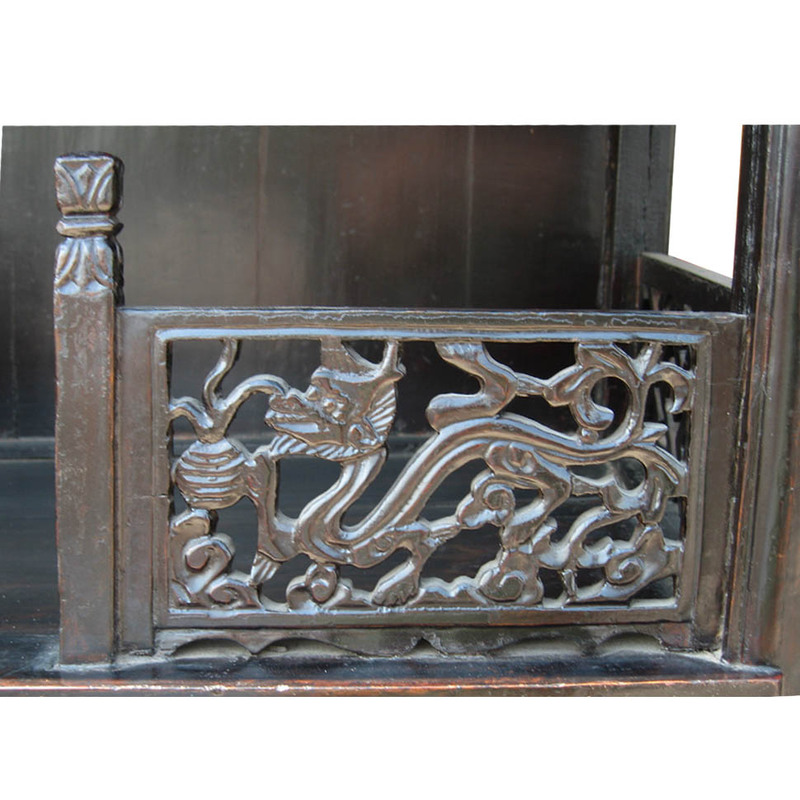 The inside of the cabinets are lined with the original old lacquer. This pair of cabinets with a narrower depth makes it easy to fit in any space where quality and presentation matter. French Polish finish over the original black lacquer. Dimensions: 32"w x 16"d x 45"h.